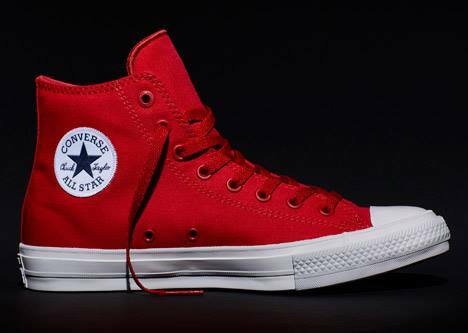 "The Converse Chuck Taylor All Star II sneaker retains the iconic Chuck Taylor All Star silhouette you know and love, but now it’s built for more. A Lunarlon sockliner adds cushioning and arch support. Micro-suede lining, premium canvas construction and a padded, non-slip tongue deliver superior comfort and durability. Molded eyelets add a premium touch. The embossed, screen-printed license plate and embroidered, star-centered ankle patch add striking depth and dimension to recognizable, classic details. Are you ready for more?"